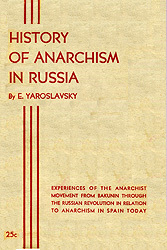 V. "The Anarchist Group Federation." The "Nabat" Group and Nestor Makhno. The "Illegal Anarchists." This page has been accessed times since December 3, 2001.